There was plenty of discussion in the wake of what happened in this year's race. Now we see official confirmation that the ACO is going to begin its next wave of changes - starting with the Porsche Curves. Club president Pierre Fillon explained that it was "important to learn the lessons" of Simonsen's accident while retaining the current track layout. But he stressed that many of the changes planned for 2014 were already under consideration before this year's race. 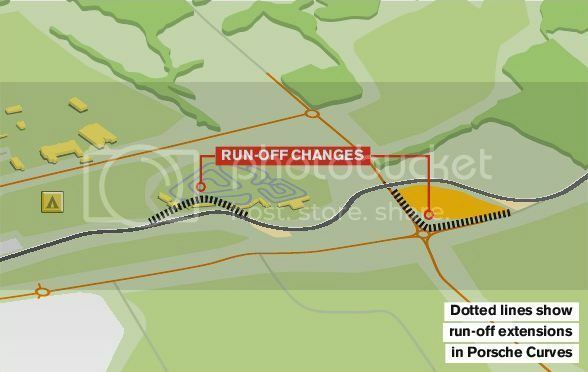 These include the increase in run-off in the Porsche Curves, the only changes that the ACO have confirmed so far. Run-off at the right-hand entry of the sequence will be increased in size, while gravel run-off will be added at the off-camber Chevrolet left-hander, formerly known as the Karting S.
This was all in the offing prior to Allan's accident, specifically the Corvette curve alterations. I'm pretty sure that was where we saw the huge hit for the Status car in the night this year. It was quite striking how the gravel on entry did precisely zero to stop Lapierre's Toyota go off in the final hours. Will be interesting to see how these solutions pan out and also what else is in the pipeline. Will they invest in some Teckpro barriers in certain areas such as the exit of Tetre Rouge. In my opinion, Le Mans organizers should have invested in better barriers at Tertre Rouge a long time ago. Nevertheless, Le Mans will always be dangerous. Drivers know when they step into their car, whether at the start, the evening, the night, the morning, or Sunday afternoon, their lives are at risk. Le Mans is so high speed, and that's why it's dangerous. But that's why its Le Mans... the danger and risk adds character to the track. However, we need to ensure the thread stays on topic as to likely/actual changes. With respect to your comment Beetle, I couldn't phrase what I wanted to say prior to you adding that. Whilst it's a cliché (but very true) that motorsport is a high-risk activity, at what point would the safety features end at Le Mans (or any circuit I suppose). I don't know anything of the technicalities of safety barriers, so won't comment that the current system is lacking at TR, and equally won't suggest what could go in to even lessen the risk through impact. But where would it stop? Not only is it a fast circuit, it's also partly a road course, and as such would it ultimately run the risk of having the circuit as it stands dropped due to some of the possible inflexibilities in operating on that basis? Last edited by Muppetdave901; 10 Oct 2013 at 13:23. Reason: Finished typing my comment after yours came through Aye - wasn't trying to veer OT! Interesting to note driver reaction to this news. Jann Mardenborough called for gravel on twitter instead of simply adding extra tarmac run-off. Thankfully that seems to be what the ACO is looking at, but the drivers clearly still want the challenge to remain. Alex Brundle said it best when he commented: "how to improve safety without losing the essence of the place, massive challenge." I think that's what we all fear. Not to say we don't fear a bad accident more. But there's certain parts of the course which simply can't be changed. 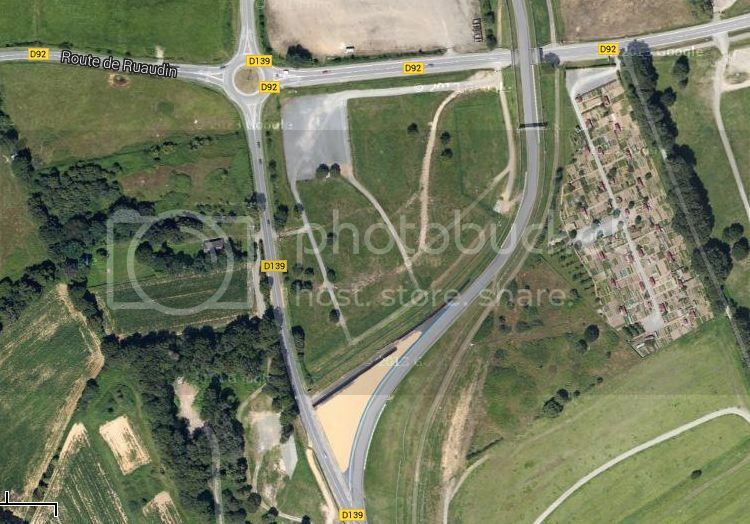 It would be very difficult to tackle that mid-section of Porsche Curves for example given it goes over the public road. Anyone seen the drawings for the extended run off at the first right hander at the Porsche curves? It looks over-ambitious to me. If the plans are correct, then the road leading the Beausejour will have to be wiped and a new one found somewhere else. I'm sure they won't get rid of the trees at TR. Not only would it be sad to see them go, but it would be a lot of hassle considering there are other solutions which could be cheaper and more effective. I think it will be a SAFER barrier there, moved further away from the trees. Tire barriers would be a disaster - you don't want cars bouncing back into the track. Are they talking about where they leave the public road, which is a right hander. 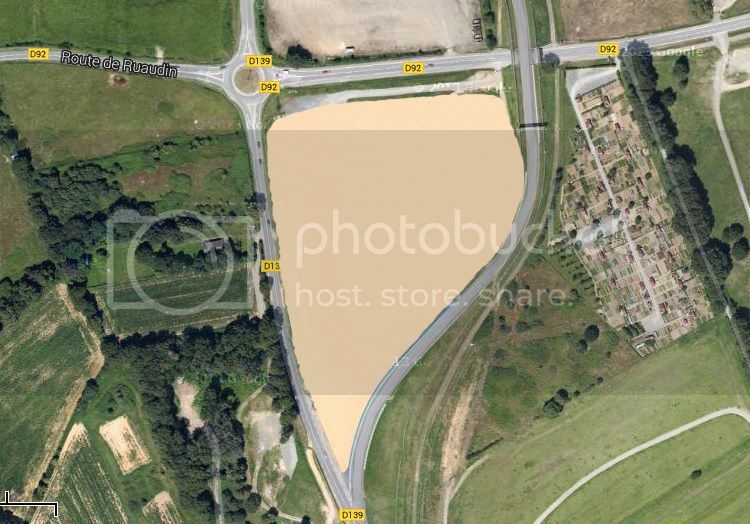 Looking at Google maps, there is already a gravel trap there, and what looks like one of the circuits car parks. I could see them pushing back into that park to make a deeper (longer?) gravel trap. That's a bit before the track crosses over D92. Just past the crossing, there looks to be room, drivers right, to push armco back towards access road. Anyone seen the drawings for the extended run off at the first right hander at the Porsche curves? Where can we see those? Agreed - there will always be freak accidents but the barriers must be capable of doing what they are designed to do - ie deform to cushion the impact and contain the crash. Credit to Autosport for the image, which at the same time is only an artists impression. It's not from the ACO. I didn't realise at first but, if this was implemented, it would take out a few private campsites on entry to Porsche Curves. I don't realistically see how it can, or needs, to go that far back. The existing gravel trap is tiny in comparison to this. It would look like the first corner almost. The more I think about it the more it couldn't happen. I've taken to a bit of (poor) photoshopping to put the change into perspective. This shows to me that if they mirrored the Autosport impression that it would be OTT and likely not feasible. Something more subtle is required I think. It's worth pointing out too for those that haven't been that the area in question isn't all flat. There's a big rise up to where the spectators currently stand.